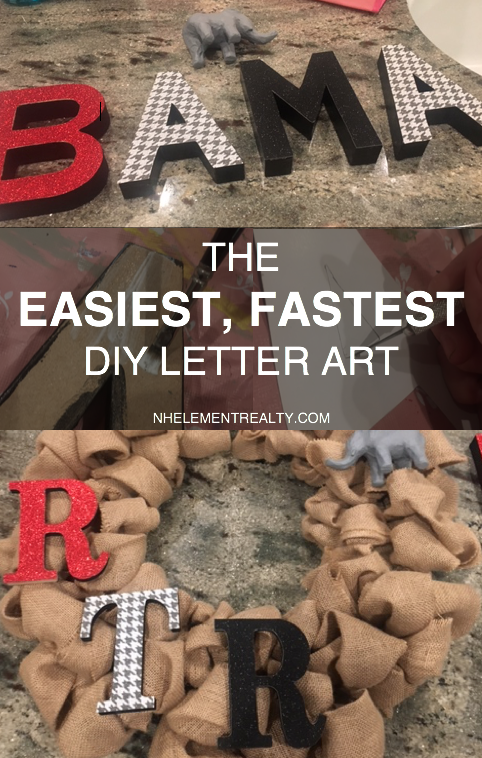 Decorative letters have endless possibilities around the house- you can use them to decorate wreaths (like we did), string them up to decorate walls and mantels, attach them to canvas to create a mixed-medium piece of artwork, and the list goes on and on. Today, we’re going to show you how to use decorative letters to spruce up a burlap wreath (the wreath tutorial can be found here). 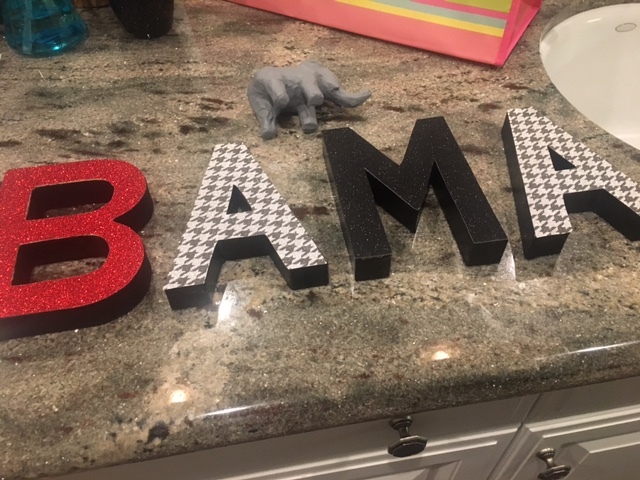 There are so many ways to decorate these little letters its crazy. 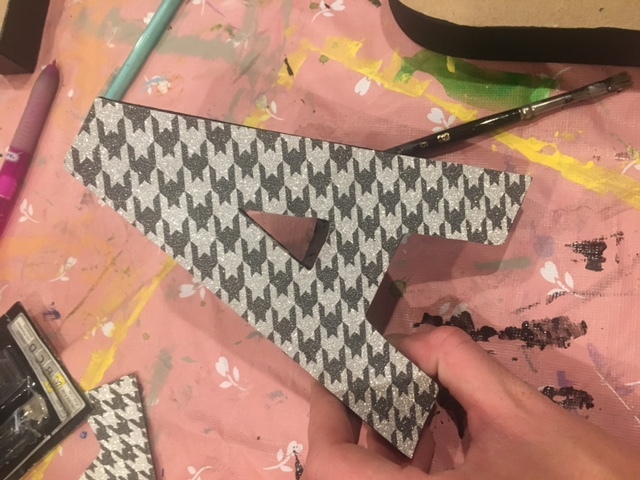 But for our project, we decided to go with painted and covered letters (in scrapbooking paper of your choosing). In celebration of the start of football season (and a big Alabama fan who works here), we made an Alabama wreath as an example. 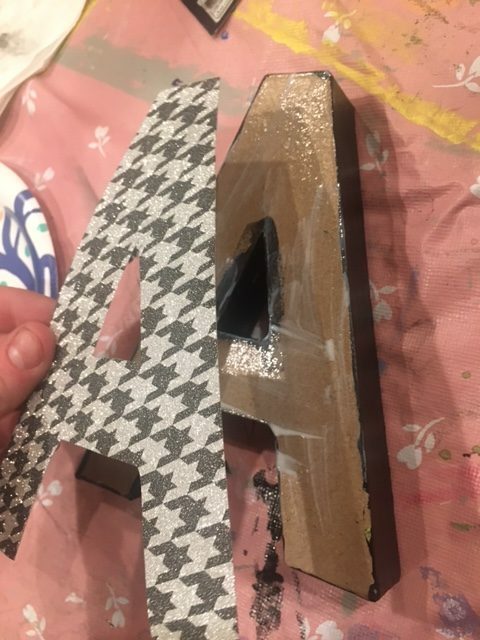 Step 1: Paint the letters. 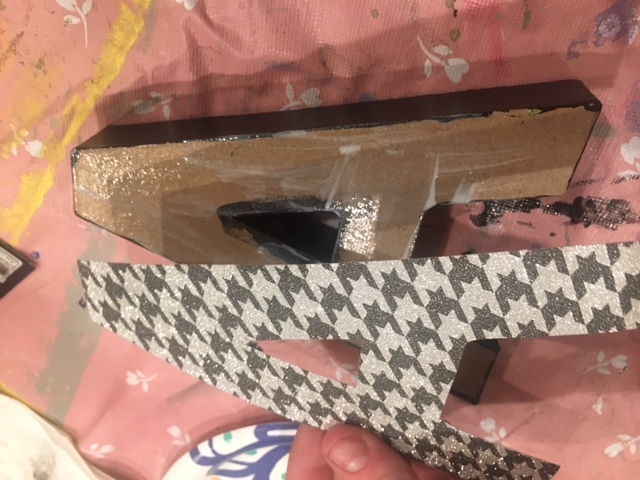 We chose to paint only the back and sides, since the front would be covered by paper. 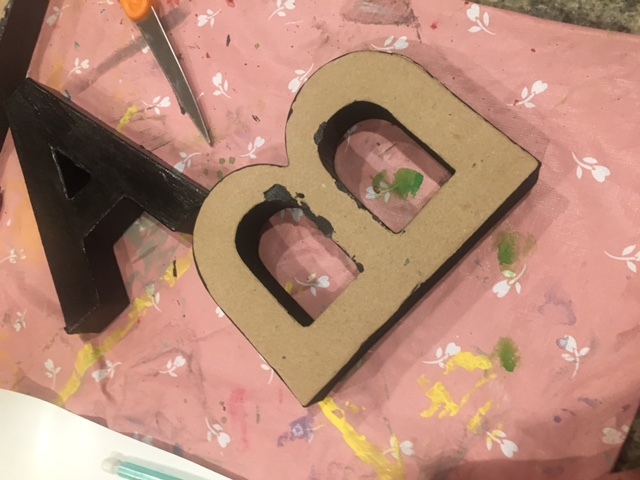 Make sure you don’t accidentally leave the back unpainted (it gets a little tricky trying to keep all the backwards letters straight). 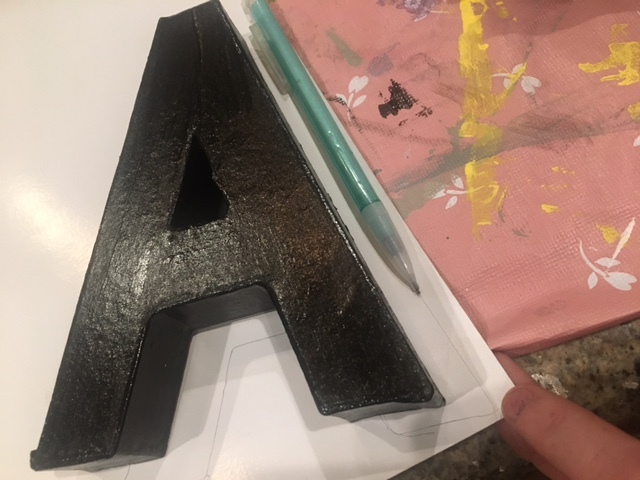 To paint our letters we used black acrylic paint (glossy but you can always do matte, and you can choose any color of your choice obviously). Let it dry. 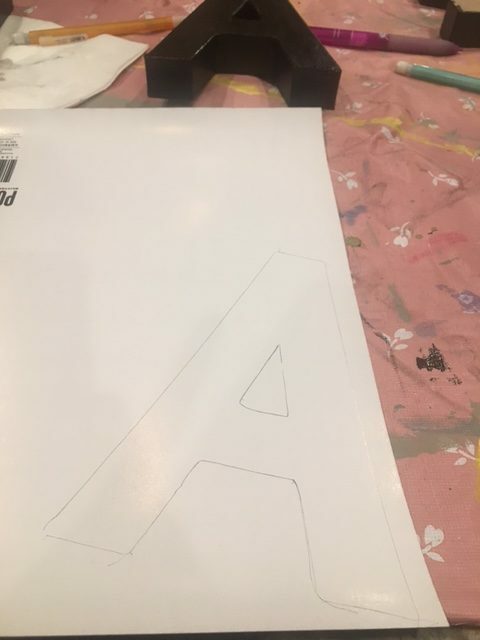 Step 2: Once the letters have dried, turn the scrapbook paper upside down, and the letter upside down on top of it (hint- be careful to make sure you’re not tracing the letters incorrectly- I did that and was lucky to have enough paper to start over). 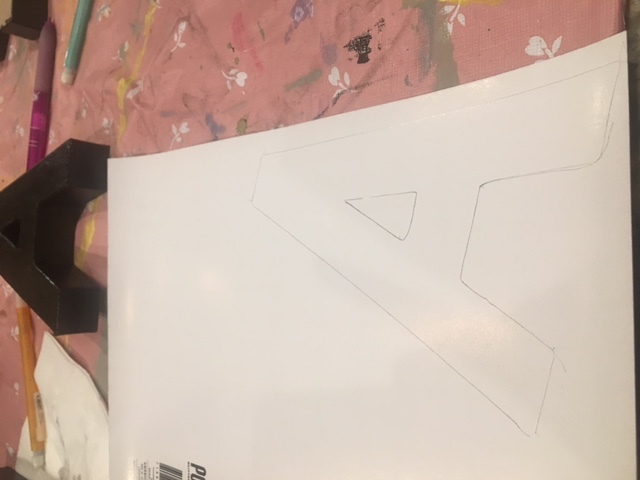 Using a pencil, trace close to the edge of the letter- I moved mine to the side a few inches so you could see how I did it. 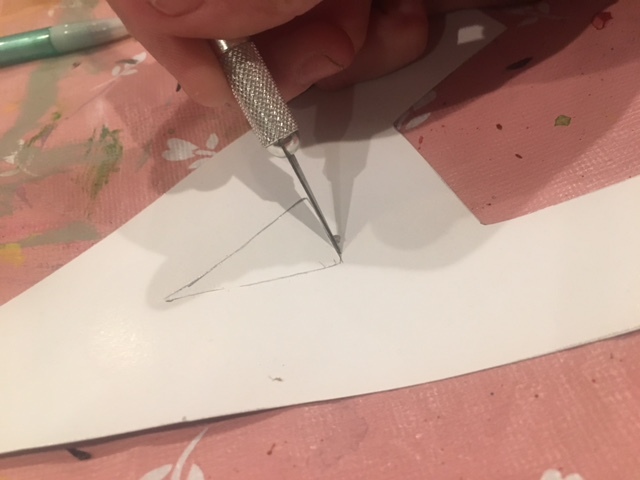 Step 3: Using scissors, cut out the letter. 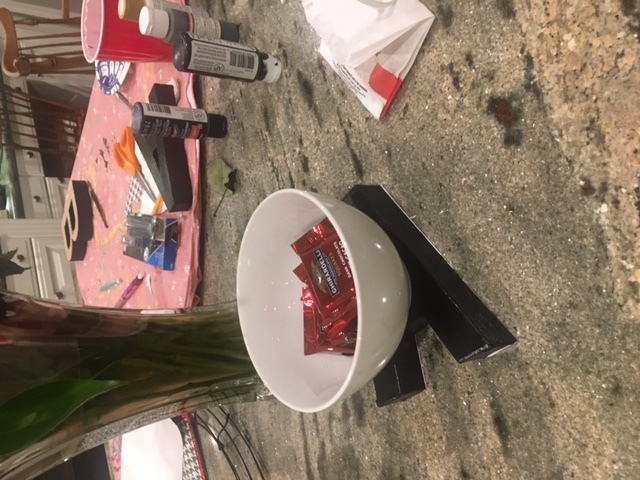 For the tighter areas that require more precision, use an Exacto Knife- but be sure to put a cutting board or craft mat underneath. 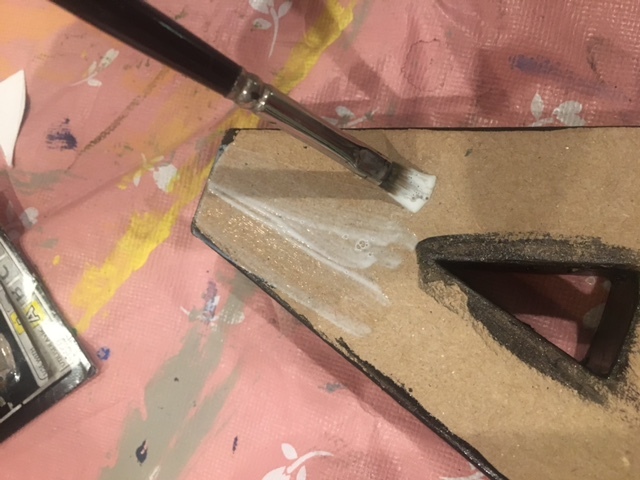 Step 4: Using a paintbrush (so that it’s more precise and not drippy), apply the Mod Podge or liquid glue (I would imagine Elmer’s would work just fine). Step 5: Very carefully, apply your scrapbooking paper cutout on top of the wet glue. It won’t be very mobile once you get it on there, so try to set it down where you want it. Step 6: Set something heavy on top of it, to press the letter and paper together- we want to create a tight seal so the letters stay durable. Step 7: Repeat with desired letters until your word, letters, or phrase is finished! 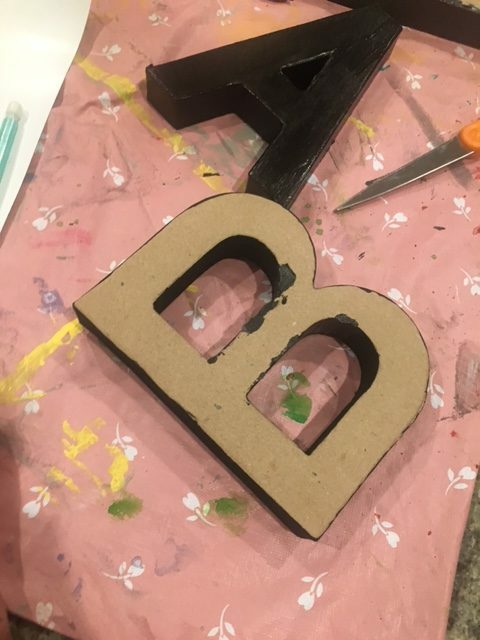 Step 8: Apply your letters to your final project. Here, we affixed them to our wreath (tutorial for that here). 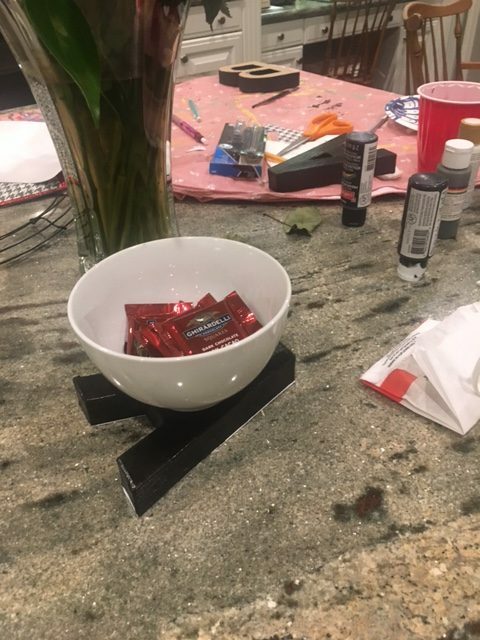 You’ll have to head over there to see the final result!